Our dummy has a beautiful pure silk cardigan - a perfect cover up! shiny silk - expertly knitted by Alean. 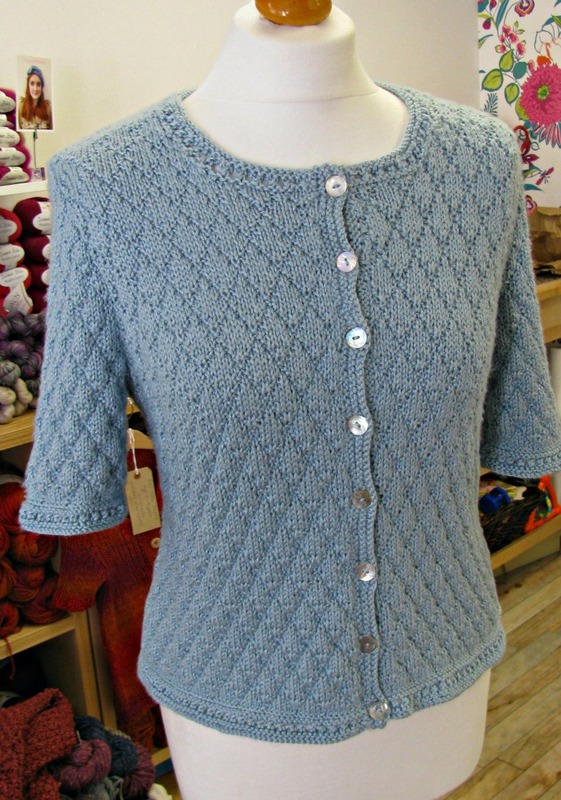 This cardigan is in the Luxury Silk DK book and takes between 7 and 13 balls. The interesting 'quilted' effect is achieved through simple knit and purl stitches and the cardigan is given some gentle shaping by changing the needle size! An eyelet feature is added to the hems at the end. A beautiful cardigan - can be knitted in any DK weight yarn - but its something extra special in pure silk!